Barcelona is an architectural city: everything you see around is inspiring and captivating, but it is also a very creative city. This genuine mix of an inspiring atmosphere and creativity has been the best breeding ground for Barcelona to develop as one of the best cities in terms of design. 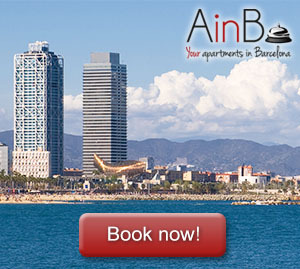 Thus, the whole city itself is a mark of distinction, it’s “the Barcelona brand”. But where can we see this side of Barcelona in essence? It is impossible to separate the city from its most illustrious architect, who created great gems in the form of buildings like the Sagrada Familia or Casa Batlló. But both Gaudí and the most modernist Barcelona go beyond these emblematic places, and a walk around these and some not so known spots will help us to not only understand how the design is conceived in Barcelona, but how it is lived and how it is integrated into the everyday life of the city. The work of Gaudí is not understood without this concept, without the concept of how a whole neighborhood like the Eixample grew as its illustrious neighbor. By living for a few days in an apartment in Sagrada Familia we’d be able to see the importance of the work of Gaudí for the neighborhood and vice versa, since the goal of the construction of the Palau Güell is not the same as that of the elegant Bellesguard Tower or the evocative Casa Vicens. 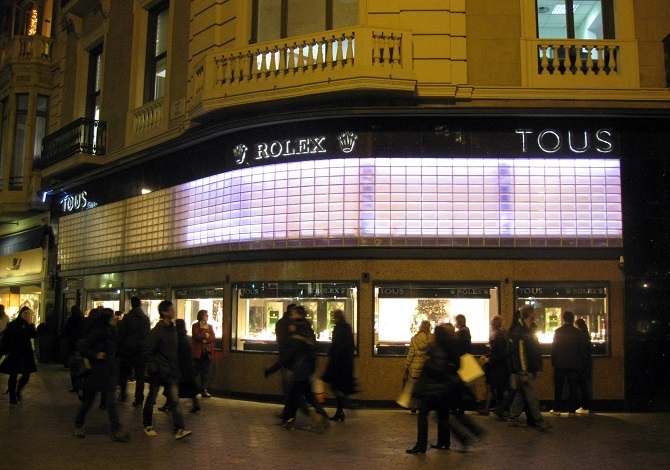 Strolling along Paseo de Gracia is already a pleasure because of the elegant boulevard that it is where Gaudí again steals the leading role with the design of the pavement tiles and with two of his masterpieces: Casa Milá and Casa Batlló. The latter is the one that appears in all the photographs and postcards, together with the Ametller House and others that could perfectly win the “apple of discord”. But it is also a pleasure because of the beautiful modernist street lamp-benches and its spaciousness, which makes it possible to appreciate each of the beautifully decorated buildings. If that’s not enough, it is also the headquarters of the most prestigious brands and design shops where we can appreciate design at its best expression. 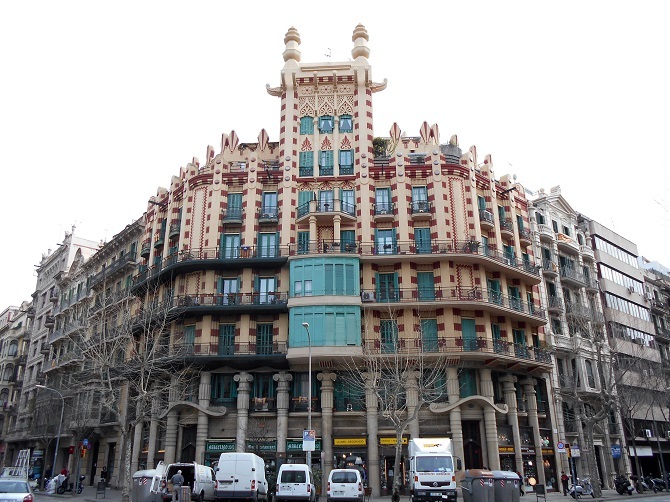 The Eixample itself is an example of modern design: a whole neighborhood planned to accommodate more than 250,000 people in blocks that form a grid where they articulate their daily life and that of a large part of Barcelona. In this walk, we will be able to see buildings that hide beautiful gardens, curious blocks of houses like the one that greets us between Muntaner and Consell de Cent, apartments in the Miró park that look like trencadís sculptures, neoclassical bullrings that hide modern shopping centers and a daily life that does not change habits and customs although it is immersed in the eyes of all visitors. 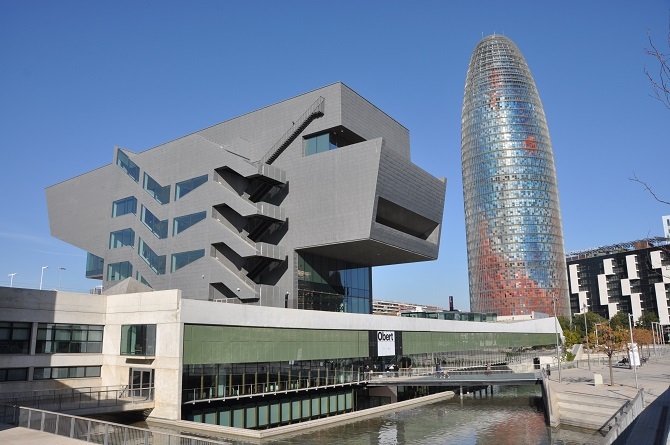 Visiting Barcelona’s maritime front is to explore the history of design and the people of Barcelona. Starting at the end of its old port, in the square called Rosa de los Vientos, we can see how the maritime tradition coexists with a hotel designed by Ricardo Bofill, that is already integrated in the most genuine skyline of the city and it’s the headquarters of a worldwide known fashion brand that summarizes what Barcelona is today: an explosion of color, creativity and a place where there is no room for straight and boring lines. 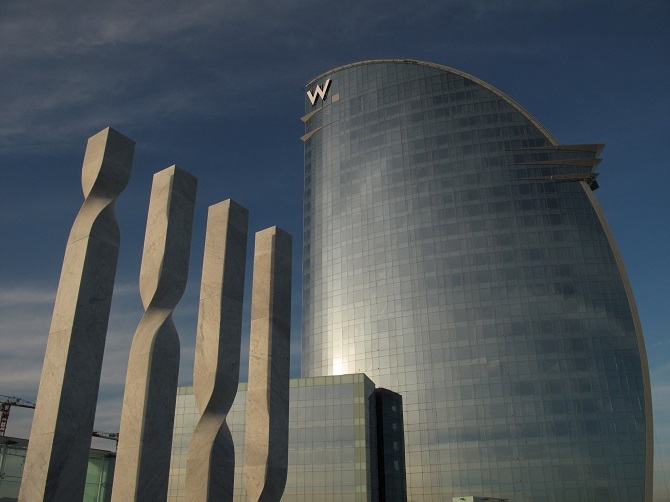 If we keep on walking until the modern complex of the Fòrum, we can find two of the most seafaring neighborhoods of Barcelona (Barceloneta and Poblenou), excellent souvenirs of the Olympics Games of 1992 with the Olympic port, the towers that flank it and the upper design district of Diagonal Mar. We want to finish with the must-see in design of Barcelona today. Although Barcelona has been famous thanks to techniques such as the trencadís of Gaudí, fresh and innovative stylistic innovation in the fashion sector with companies such as Custo or Desigual, or in architecture thanks to modernism and other contemporary currents of the end of the century; today it expresses all that creative torrent in the so called 22@ District, and more specifically in one of its frontiers: the renewed Glòries square. 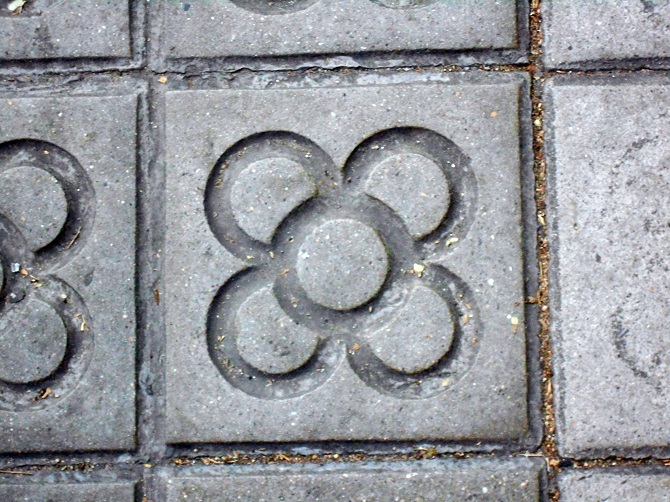 This emblematic square, which represents the intersection of the three main axes of the city (Gran Via, Diagonal and Meridiana), has evolved from being an abandoned crossing place, to being the epicenter of innovation and a powerful incubator of the most technological companies thanks to the push of the project of renovation of Plaza Glóries. A street market that has become a meeting point for casual shopping in an environment surrounded with design, the AGBAR tower, icon of the new Barcelona, the DHUB or Museum of Design, which gathers among its rooms all this vibe, and a square that does not stop transforming day after day. These are only 4 examples the new Barcelona, that goes from classicism towards the new millennium.